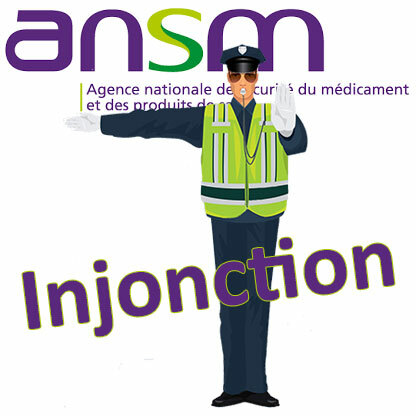 It is in the name of"major non-conformities and shortcomings" that the ANSM has just sent Laboratoires Cinq Mondes an injunction to bring its Paris establishment into conformity. In question: several discrepancies relating to compliance with the requirements of Cosmetics Regulation 1223/2009 and ISO standard 22716 on Good Manufacturing Practices. This injunction, dated August 2, 2018, follows an inspection by the ANSM carried out on the company's premises on February 19 and 20, 2018. - Absence of safety reports in accordance with Annex I of Regulation (EC) No 1223/2009 for certain products placed on the market. - Failure to demonstrate the safety of cosmetic products obtained after mixing several cosmetic products, in accordance with Recital 4 and Articles 3 and 10 of Regulation (EC) No 1223/2009. - Insufficient control of subcontracting in accordance with Chapter 12 of the harmonised standard NF EN ISO 22716 of January 2008 on good manufacturing practices for cosmetic products. - have contracts with subcontractors and initiate an audit process to ensure that subcontracted operations are under control within 6 months. - See Injunction n°2018COS001-INJ concerning the establishment of Laboratoires Cinq Mondes located in Paris (9th arrondissement), on the ANSM website.